Pokemon Quest has racked up $3 million in revenues during its first week on the App Store and Google Play. Mobile intelligence firm Sensor Tower reports that 56 per cent of revenues came from the App Store with the remaining 44 per cent coming from Google Play. In terms of country, Japan provided the lion’s share of player spending at 31 per cent, with the US not far behind with 25 per cent. South Korea was third with a 12 per cent share. 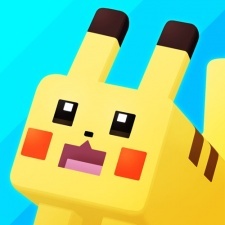 Pokemon Quest is currently ranked at 52nd for iPhone revenue in Japan and 76th in the US. The adventure RPG also captured 3.5 million downloads since launching on June 27th. It is currently sitting at the top spot on the free app download charts on Japan’s App Store. It is also ranked at 18th in the US and at 2nd in South Korea in the same chart. Pokemon Quest made a quick start to life on the Nintendo Switch before it came to mobile, and pulled in more than 2.5 million downloads in its first month on that platform.